The Siberian Husky is a relatively easy dog to care for when it comes to grooming. 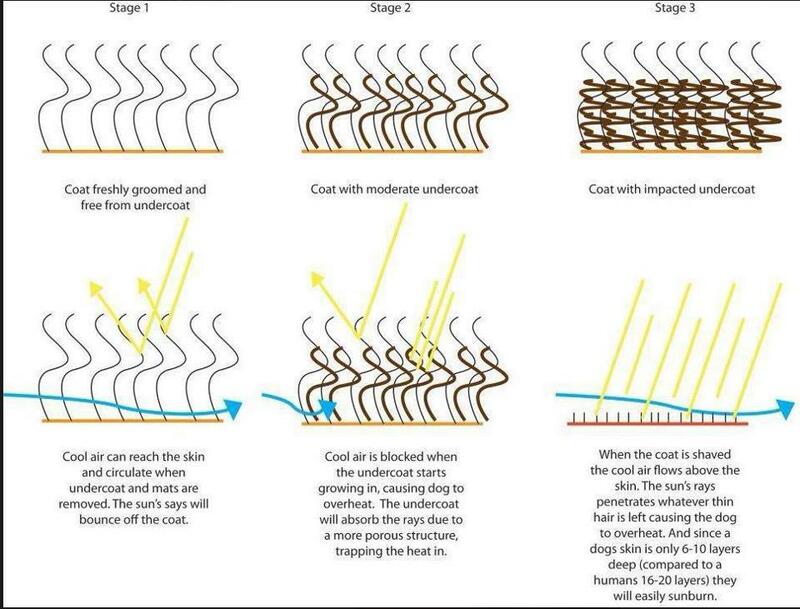 By design their coats help keep them clean and it protects them from many parasites. They also are typically free from body odor, so no 'wet dog' smells here! Siberians clean themselves much like cats. In fact, if a Siberian becomes soiled with mud will clean himself up, either by licking it away or waiting until it dries to shake it off. Therefore, bathing requirements are minimal. However, that does not mean they never need a bath! Many owners only bathe their dogs once per year or less. We prefer at least twice a year. Typically twice a year, Siberians blow their undercoats, that is, they shed their undercoats completely. 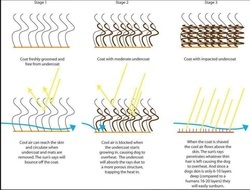 It is a very intense shedding period that can last three weeks or more from start to finish. The good news is that this only happens twice a year. The shedding period can be rather messy. Waiting until most of the coat has let go, or the hair comes out in large and small clumps lessens the frequency of intense grooming getting all that coat out at once. It should be noted, however, it has been noticed that shedding can be a year round event. Other than during coat-blowing season, the Siberian needs very little grooming. No trimming or shaving of hair is required or recommended. Just occasional brushing to remove dead hair and keep the coat fresh and shiny is required. High velocity driers can be of great grooming help during this time as well. We often are asked, what tools we'd suggest for grooming your Siberian Husky. These are examples of what we'd suggest and what we use on or own dogs. 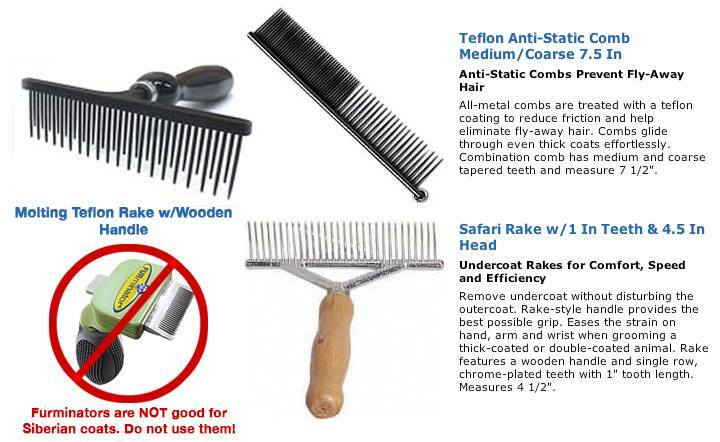 I suggest a standard undercoat rake or molting rake with teeth at least 1" long to reach the undercoat without harming the guard hair. I'd also suggest a slicker brush and a straight comb. Whichever brush you choose be sure it fits comfortably in your hand! We prefer rounded handles. We do not suggest tools such as the Furminator. We find tools such as this one damage the coat, often times beyond repair. 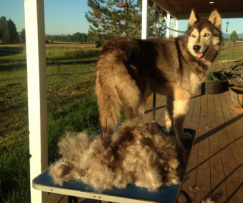 Some warm climate Husky owners think they are doing a favor by shaving their dogs. When in reality, they may are harming the dog. 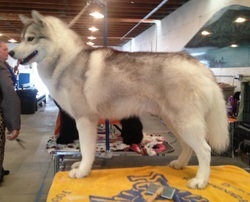 In the summer, when the Huskies shed their undercoat, the topcoat provides protection from harmful UV sun rays. Shaving your husky, can cause a heatstroke and sun burns – their topcoat keeps them cool as well. 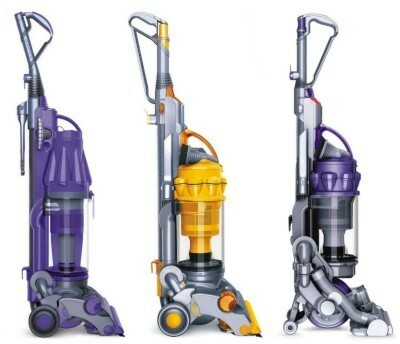 You may want to invest in a good vacuum cleaner! 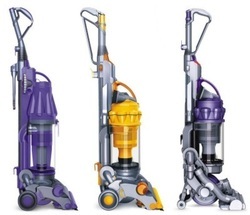 A quality vacuum cleaner will make cleaning up after the shedding quick and easy.